An exceptionally rare Western Zhou bronze, taken when the Summer Palace was sacked by British troops in 1860, has been discovered in a house in a Kent seaside town. 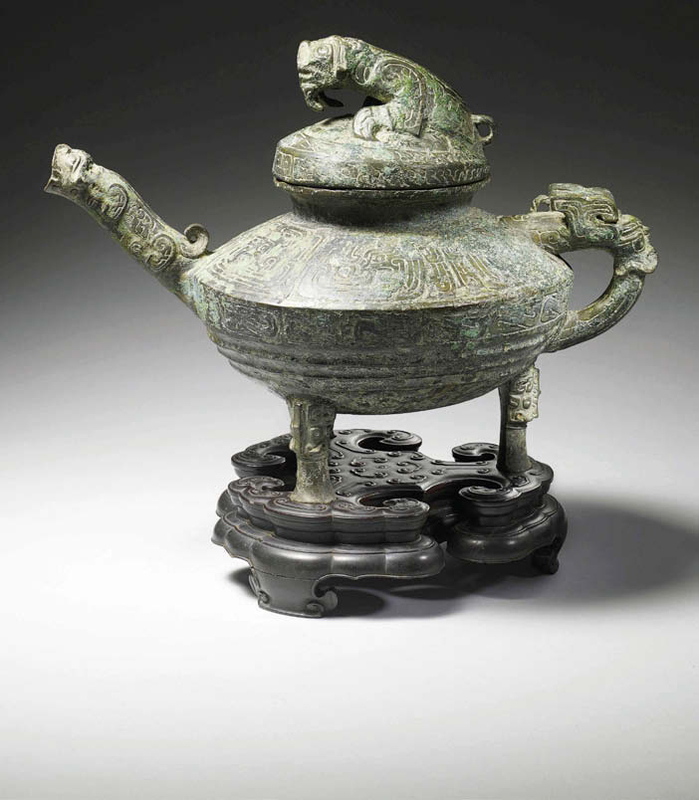 The Western Zhou bronze estimated at £120,000-200,000 by Canterbury Auction Galleries. Only six similar archaic vessels, or ying, are known to exist. The discovery, a seventh with previously unrecorded decoration, will be sold by the Canterbury Auction Galleries on April 11, estimated at £120,000-200,000. It was found by Alastair Gibson, London dealer and the Canterbury saleroom’s Asian art consultant, together with three Qing bronzes and an archive of letters and photographs relating the military history of the Evans family of Monmouthshire. 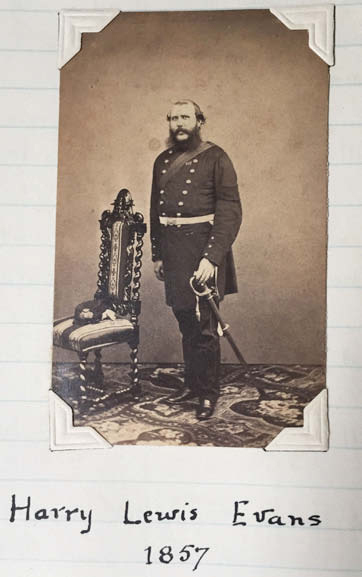 Royal Marines Captain Harry Lewis Evans (1831-83). Surviving letters from its erstwhile owner, Royal Marines Captain Harry Lewis Evans (1831-83), give a vivid account of the Second Opium War. He took part in the capture of Canton in 1857, and the failed attack on the Taku Forts in 1859. In a letter dated October 17, 1860, he recorded in detail the infamous looting of the Yuanming Yuan, or Old Summer Palace. “The General sent out for all the carts he could find, brought in as much as they could carry, and all the things were sold by auction for prize money for the force. I expect to get about five and forty pounds for my share.